We want to make sure your purchase from Santillan Jewelers remains a beautiful and treasured piece for as long as you own it. Our state-of-the-art design and repair studio specializes in cleaning, restoring and maintaining fine jewelry. We’ll keep your jewelry looking as brilliant as the day it first caught your eye. Whether it’s a simple gold solder or the restoration of a beautiful piece of antique jewelry, the care given to a customer’s piece of jewelry is of prime concern to Santillan Jewelers and our repair department staff. Every piece of jewelry that is received for repair is inspected multiple times and is tracked by computer from take-in to pick-up. Your valuable jewelry never leaves the premises. Our repair department is not only staffed by some of the best platinum and goldsmiths in Roseville and the greater Sacramento area, but is also equipped with state-of-the-art tools and equipment to help ensure top quality work. If you can picture it, we can make it… more striking than you’d ever imagined. Santillan Jewelers renowned custom design department combines old world craftsmanship with extraordinary new technologies to create a masterpiece that is yours alone. Using state-of-the-art computer aided design (CAD) tools, our custom jewelry studio creates a three-dimensional image of your new design. You can preview it from all angles, and make any adjustments you would like before the actual jewelry creation process begins. We produce a computer-generated wax model, so you can actually hold a facsimile of your design. 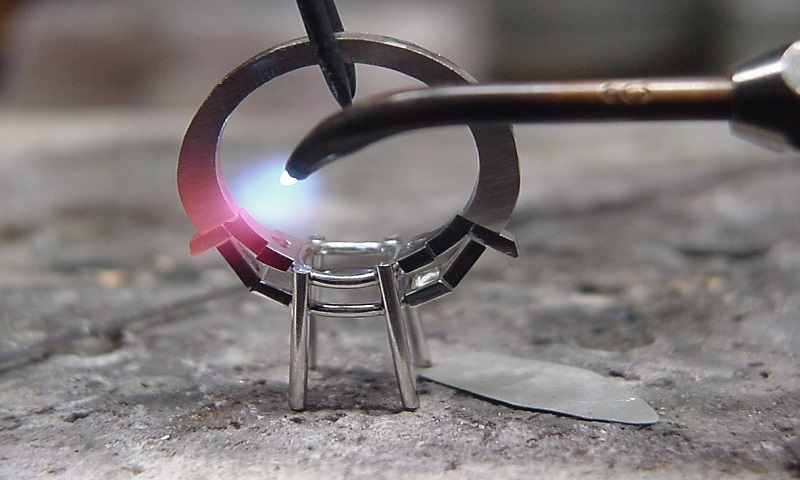 Molten metal is injected into a mold created by burning out the wax model in a process called lost wax casting. We then remove the rough casting from the mold to prepare it for finishing. We polish the piece, set the stones, and give it a final polishing. Your one-of-a kind masterpiece is complete! Santillan Jeweler’s appraisal department is recognized for its professional approach to the appraisal of fine gems and jewelry. 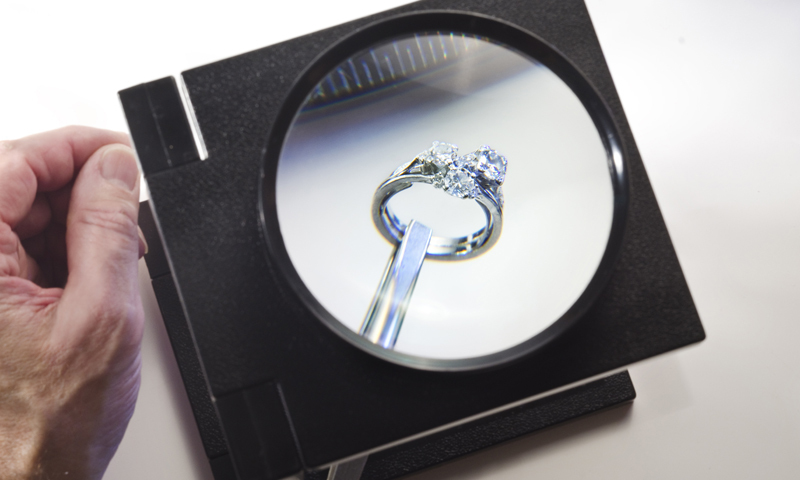 Staffed by Certified Gemologists, Santillan Jewelers appraisers are able to accurately determine the value of your most precious keepsakes. Appraising is a complex procedure which must be performed by professionals who are trained in the appraisal sciences. The Certified Gemologist Appraiser has earned the highest appraisal title awarded by the American Gem Society. All CGA’s are required to pass a hands on appraisal test that is both written and oral and they must pass a yearly re-registration exam to maintain their titles. Complying with these rigorous standards means that a Certified Gemologist Appraiser is uniquely qualified like no other self-proclaimed expert to understand the value of your jewelry. Schedule your private consultation with Santillian Jewelers today to see our beautiful collections in a 1-on-1 setting. Fill out the following form and Santillian Jewelers will be in touch with you soon to schedule your private consultation.